I am new to invoking web services from wsdl. I have a WSDL file and I see that there are certain operations which are expecting some sort of inputs to build a structure but I'm not really sure as to how to use this soap method inside a Java class. I am looking forward for some references where such WSDL files are used to build such an operation. Please suggest. I have a batch file, which sets some environment variables and then launches a jar file. I have the source code with me and I would like to have the application debugged with eclipse IDE. Can you please help me out. Any inputs would help us in getting ahead. We are implementing Http to Https conversion for our application, which uses Jboss as the application server. We made the following changes in the standalone.xml file. We received the certificate from our certification team in p7b format, which we had to convert to CER format and then add it to keystore - winstore.jks which we are using in the path above. But with the above configurations in place, we are getting the below error while trying to restart jBoss. Please let us know what could be the potential problem as these are our initial steps towards understanding Https. Please note that if the certificate is a self signed one, the problem is not coming into picture. I am interested in knowing how the following link is able to list items/links in the form of an explorable tree - I am referring to the PAGE TREE structure in the left hand side div/section. I want to know how what all things/items/urls that have to appear under the parent node are determined. I mean how does this happen?. Any inputs are most welcome. How is this website constructed. I was really fascinated by the way this website is organized: http://snarfed.org/. So I am curious as to know what technologies went into it. The first page has list of stuff which the author has posted against the date. I dont think this is plain html as if we scroll down, we can see a 'loading' image which loads more posts into the website. How can this be achieved?. Please suggest. I have appeared for an interview recently [ about a month ago ]. I have been asked to write a program that would display contents from a table-kind of format in a file supporting SQL constructs like SELET/FROM/WHERE etc. I was able to do that. The person who was with me back then was a developer and he validated it and said that it was fine. Now I waited for a week or so and have dropped a mail to the recruiter asking feedback. She said that she would get back to me. When I asked her about the result again, she dropped me a "feedback" mail [ which is your general corporate template that says " we appreciate your interest..but the princess is in another castle" ]. Now, I was really puzzled with that. I honestly was looking forward for the next round. I never expected this. I contacted her again asking if she could actually share details as to why I was rejected, she has replied saying that she would get in touch with the guy who was with me at round1 and would get back to me. In order to attend round 1, I had to bunk my office which was at the other end of the city and had to travel to their company when it was raining heavily..took the first round with me half-drenched and virtually shivering because of the extreme air conditioning at their company. So, I thought I should at least get some reasonable feedback rather than just a sample template. How should I proceed now?. I know I won't be getting the opportunity, but should not a HR be more sensible?. My instinct tells me to drop a mail saying that their organisation needs process improvement...but wanted to seek your opinion..please suggest. Nope. To put it in simple terms, if I have a FuelManagementSystem instance available in a method of AudioManagementSystem, then I can always do a setCurrentFuelReading() to any value that I want. So, what is the use of providing a setter method here?. Generally would one be providing a setter method in the first place for all private data?. If not how does one determine for which pprivate variable a setter method would be provided? If I have a class , say FuelManagementSystemand if I have a private variable fuelQuantity, then from another class SoundManagementSystem I can't access 'fuelQuantity'. But what happens if I expose a public method say, 'setFuelQuantity()'?. If I have an instance of FuelManagementSystem, I could easily say fMSInstance.setFuelQuantity(INSANE_AMOUNT); from within the SoundManagementSystem isnt it?. So, how can we justify encapsulation [ modification of fuelQuantity using the API provided by FuleManagementSystem alone ]. Please share your thoughts on the same..
Ball example - Inheritance ? You could certainly design an extendable Editor class that could be specialized, but I'm not so sure that things like Notepad/Notepad++ are actually examples of it, except in the most general sense of "features" - especially since the latter wasn't written by MS (at least I assume it wasn't ). Thanks for the inputs Winston. And yes, Notepad++ as such does not make any sense. But I have mentioned that my new specialization of notepad would be a hypothetical Notepad++. So, when I say this Im trying to convey that this hypothetical Notepad++ would have better handling of text/enhanced features blah blah blah. Im sorry if I was not clear. Thanks again . I have come up with another example where in I would have a core class that offers me a very basic text editor[notepad?] mechanism. Then layers/customizations on it would give me a better editor[notepad++/wordpad]. So, in this example, my base class would be NOTEPAD and my sub classes would be [hypothetical] notepad++/wordpad. I am pretty sure this is much more close to the concept of Inheritance than the ball I presented earlier. .How do you feel?. Output of this program may help you in understanding things. Manish, please see the question again. Iam familiar with this stuff. I want to know where this category fall in..Inheritance/Composition thats it. Winston/Piet Thanks for your response. I am actually interested in explaining the concept of inheritance by taking a very basic example which people are quite familiar with [ atleast in India ]...Cricket. Guess I need to come up with another example. I am wondering whether the following example comes under Inheritance or not. Now, the example that I have chosen is a cricket ball construction. 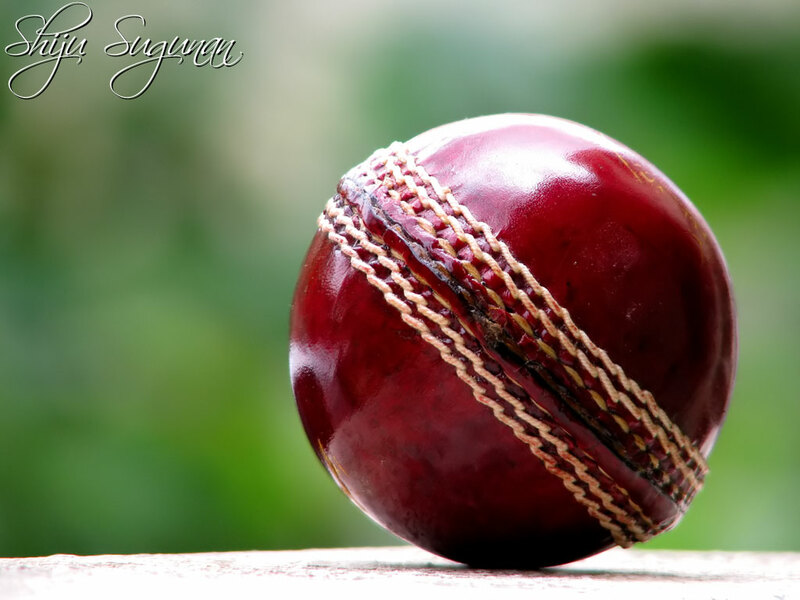 Just a brief back ground: A cricket ball looks like this. [ http://3.bp.blogspot.com/-X2232vHYQwM/UPlY3_-2qbI/AAAAAAAAAAw/G3juwFNBGVI/s1600/cricket+ball.jpg ]. Now, if you actually take a look at its internal structure, it looks like this. [ http://www.cricketstoreonline.com/product_images/uploaded_images/img-0233.jpg ]. 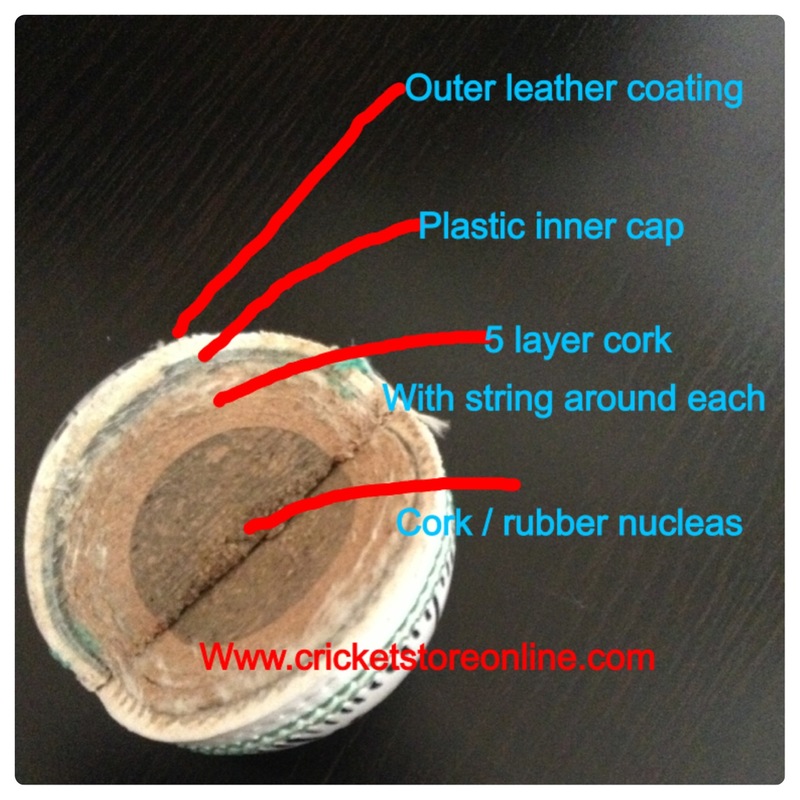 It has an internal cork ball around which 3-4 layers are created and finally a Cricket Ball [ first pic ] is created. Now, I am taking this core cork ball as my base class and am explaining the creation of the cricket ball [ my sub class ] as a customization of the base class. Before I go further, I want to know if taking the base cork ball as base class and the cricket ball as sub class with its own features seem logical/reasonable. [ the reason why Im asking is sometimes I ask myself if this should have been composition where the Cricket Ball contains a cork ball at its center and not an inheritance relationship ].